The General Electric Building, New York. Reproduced by permission of Corbis Corporation (Bellevue). From the beginning, General Electric (GE) was a leader among U.S. companies. It dominated the lighting industry, played an important role in the development of broadcasting, and contributed significant scientific inventions that led to many of the consumer and industrial products used today. The company realized early the importance of technological innovation and pioneered the idea of corporations operating their own research labs. General Electric was also a leader in management techniques. Many U.S. and later international companies followed the principles introduced by GE, from strategic planning to doing business on-line. Even the company's leaders were well known, making an impact both on other businesses and on the U.S. government. General Electric was formed in 1892 through the merger of Edison General Electric, a company that managed the many businesses and inventions of Thomas Edison (1847-1931), and Thomson-Houston, which held several patents in the growing field of electricity. Charles Coffin became the first president of General Electric, which employed ten thousand people. His first objective was to keep the company in business during a depression that occurred in 1893 and caused many firms in the electrical industry to fold. From the beginning, Coffin realized that GE needed to use technology to answer consumer needs. As competing companies increasingly began to catch up to GE with new lighting and other electric products, GE opened the first industrial research laboratory. The purpose of the lab, which opened in 1900, was to do research that would allow GE to develop or improve products for sale to the public. The lab was headed by Charles Proteus Steinmetz (1865-1923), a strong supporter of the idea that research and development should be done within a company, rather than relying on outside scientists. Steinmetz made many discoveries and was later referred to as "the Wizard of Electricity." Some of GE's early products included X-ray machines and steam turbines, as well as components that helped advance such areas as medicine and train transportation. The company was especially active in producing consumer products, the first of which was the Hotpoint iron. In 1910, GE introduced its Hotpoint electric range, which became one of its flagship items. Other appliances followed, including the Monitor Top refrigerator in 1927. Before this, only a few thousand families in the United States had refrigerators and only about half had iceboxes, boxes that used purchased ice to keep food fresh. During the 1930s, GE introduced many helpful household appliances, including electric washing machines, air conditioners, and the garbage disposal unit. General Electric is formed through the merger of Thomas Edison's Edison General Electric and Thomson-Houston. GE opens the first industrial research laboratory. GE introduces the Hotpoint electric range. Along with Westinghouse and other companies, GE forms the Radio Corporation of America (RCA). GE launches one of the first radio stations, WGY in Schenectady, New York. NBC is formed, with GE a part owner. Under pressure from the government, GE sells its ownership share in RCA. GE scientist Katherine Burr Blodgett invents invisible glass, which becomes the basis for today's camera lenses. 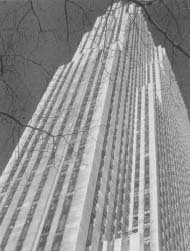 GE's TV station WRGB is credited with being the first television network, along with a station in New York. GE builds the nation's first jet engine, the 1-A. GE scientist Bob Hall develops the laser. New CEO Jack Welch lays off 25 percent of the company's workforce. GE buys RCA and its flagship NBC. GE becomes the first Fortune 500 company to go on-line. Microsoft Corporation and GE launch computer/television network MSNBC. GE's best-known leader, Jack Welch, retires. General Electric was also instrumental in the development of radio and later television broadcasting. Not only did it manufacture parts that allowed sound to be broadcast over radio waves, but in 1922 it started radio station WGY in Schenectady, New York, one of the first stations in the country. 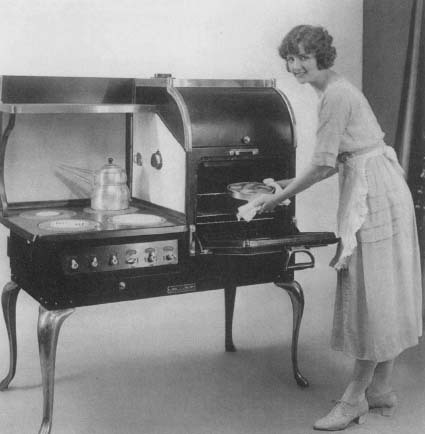 An ad from the 1920s featuring a new General Electric convenience: the electric stove. In 1919, GE helped form the Radio Corporation of America (RCA) and became a part owner, with several other companies, of the first radio network, the National Broadcasting Company (NBC). Although a federal court ordered GE to sell its share in RCA in 1932, it continued to be active in broadcasting. In 1941, the television station WRGB, also in Schenectady and owned by GE, became the first station to receive television broadcasts from New York, representing the first television network. GE developed many industrial products throughout the 1940s. It built the United States's first jet engine, called the 1-A, in 1941, and oversaw the first commercial use of radar to assist ship and submarine navigation. Company scientist Vincent Schaefer developed cloud seeding—the process of making rain—which is used in farming to protect fields from hail. GE's innovations continued into the 1950s, when it developed all-weather headlamps for automobiles, allowing drivers to see better, and created a process for making artificial diamonds, which are used in industry for cutting and smoothing. In the 1960s, GE was instrumental in making parts for the U.S. space program. In 1962, scientist Bob Hall developed the laser, which eventually made the CD player and laser printer possible. In the 1970s, GE introduced the first digital clock radio that could be programmed, while inventing a stream of products for medical and industrial use. In 1978, GE Lighting produced the material necessary to make the first fiber optic strands. This was the beginning of a revolution in communications that enabled data to travel much faster than ever before. Always the innovator, GE became the first large corporation (the first in the Fortune 500) to go on-line, with the exception of firms in the computer industry. It launched its Web site, www.ge.com , in 1994. In 1996, it integrated television with the Internet when it introduced MSNBC, a joint venture between its subsidiary NBC and the Microsoft Corporation (see entry) that allowed viewers to get their news and information either on cable television or over the web. Katherine Burr Blodgett (1898-1979) was the first woman scientist at the GE Research Laboratory. She is best known for her invention of invisible glass, a coated, nonreflecting glass, in 1939. Her discovery directly led to the materials that are used today in almost all camera lenses and other optic lenses. Meanwhile, GE was also becoming known for its progressive management techniques and talented executives. Throughout the company's history, which spans over one hundred years, there were only twelve CEOs (the last was named in 2001). This is fairly amazing considering that many large corporations are constantly changing management. Almost all of General Electric's CEOs have became well known in business and government circles, and many of them wrote books about their business philosophies. 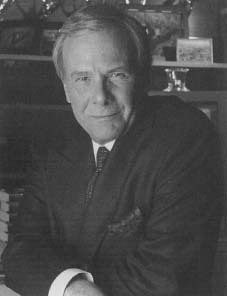 Tom Brokaw, anchor the the NBC Nightly News. General Electric owns NBC along with a variety of other businesses. In the 1920s and 1930s, GE pioneered what was called "enlightened management" ideas, such as giving workers paid vacations. Later, in the 1950s, the company's fifth CEO, Ralph I. Cordiner, refined the concept of decentralization—which had been used in some industries since World War I (1914-18)—by making 120 GE departments into separate profitable centers. Each general manager was responsible for the performance of his or her unit. That structure led to more layers of management and increased employee fear—workers thought they might lose their jobs if their unit was not successful. The system, however, worked for the overall benefit of the company during this period. In the 1960s, GE invested a lot of money in new businesses as it continued to expand. Rather than deciding in a systematic way which businesses to go into, it put money into many industries and waited to see which would end up being profitable. Some did well, but the company became hard to manage. And, in spite of the movement into new businesses, 80 percent of the company's profits still came from its original interest, electrical products and equipment. GE became one of the first companies to support the concept of strategic planning during the 1970s. In strategic planning, executives analyze industries so they can identify those where the company is strongest. Reginald Jones, who headed the company in the 1970s, supported the idea that government and business should work together. He served as an adviser to three U.S. presidents. U.S. News & World Report said at the time that Jones was viewed by his fellow executives as "the most influential person in business." The Radio Corporation of America (RCA) was formed in 1919 by General Electric, Westinghouse Electric, AT&T, and United Fruit. All of these companies had a keen interest in a brand new "wireless" industry known as radio. From the beginning, RCA was a leader in radio, both manufacturing radios and controlling the two largest radio networks in the United States. The networks were part of the National Broadcasting Corporation (NBC), RCA's subsidiary. NBC was formed in 1926 when RCA purchased AT&T's radio stations, including the main station, WEAF in New York. RCA owned 50 percent of NBC, while GE claimed 30 percent and Westinghouse 20 percent. NBC was divided into two networks, the Red and the Blue. The Red network was more entertainment and commercially oriented, while the Blue focused on public service. Together, the networks consisted of nineteen stations in 1926. Ten years later they had grown to one hundred stations. In 1936, the government forced RCA and its leader David Sarnoff (1891-1971; a pioneer in both radio and television) to sell off its Blue network—which became the American Broadcasting Corporation (ABC)—in order to increase competition in radio broadcasting. The Red network continued to operate under the NBC name. Four years earlier, GE and Westinghouse had been ordered to sell off their interests in RCA, also for competitive reasons. While radio was growing quickly, RCA was also working on a new technology, television broadcasting. The first image broadcast over television was a figurine of the cartoon character Felix the Cat rotating on a turntable. Television caught on slowly at first. By 1947 only eight thousand homes in the United States had television sets, which were very expensive at the time. Sarnoff decided to broadcast the 1947 World Series between the New York Yankees and Brooklyn Dodgers to drum up interest for TV. The broadcast was blurry and hard to follow, but the series was hard-fought and exciting and it encouraged many people who had seen it on television in bars and restaurants to purchase a television set for their homes. By 1948 there were three hundred thousand sets in the United States and four million by 1950. The NBC of the 2000s, still a subsidiary of RCA (which GE purchased in 1986), included many different interests, including fourteen stations, the NBC television network, the Spanish-language network Telemundo, cable network CNBC, and cable/Internet network MSNBC, a joint venture with the Microsoft Corporation (see entry). NBC also had an interest in the PAX Network and produced and distributed its own television programming in news, entertainment, and sports. Jones was followed as chairman and CEO by Jack Welch, who became one of the best-known and admired, although controversial, business executives in the world. He strengthened GE's performance, first by cutting 25 percent of the workforce and eliminating weak businesses, then by acquiring stronger companies. Between 1981 and 1985 alone, he purchased three hundred companies. He also cut out unnecessary levels of management and placed some of the decision-making power with the workers. He retired in 2001, replaced by Jeffrey R. Immelt. Welch purchased some big companies during his leadership of GE. He bought RCA, for example, which GE had partially owned in the early half of the twentieth century. GE moved into the investment field, bought electrical lighting firms in emerging countries (such as those in Eastern Europe), and added companies in the chemical field. Not all of these were a perfect fit, but they contributed to GE's growth in the 1980s and 1990s. In one notable setback, GE tried to acquire Honeywell International in 2001 but was prevented from doing so by the government of the European Union. That same year, the company was ordered to remove cancer-causing chemicals called PCBs from the Hudson River in New York. A court found it had dumped the harmful chemicals there over several years and ordered the company to clean up the river at a cost of $460 million. Despite these stumbles, GE's stock price went up by 3,000 percent during Welch's time as CEO. His successes continued General Electric's more than one-hundred-year history of proven performance and business leadership.